When the devastated area is occupied by livestock, the harm to the environment is even more severe than that incurred by deforestation for other purposes. This is because the digestive process of ruminants, such as cattle, buffalo, goats and sheep, and the management of their waste, produce methane, another gas that contributes to the greenhouse effect. One ton of methane is equivalent to 21 tons of CO2. The encroachment of agriculture, a major engine of the Brazilian economy, on the Amazon Rainforest and Cerrado, has imperilled the fulfillment of goals Brazil has adopted, along with the international community, to fight global warming (those laid out in the United Nations’ 2030 Agenda for Sustainable Development). More than half of Brazil’s total contribution to the greenhouse effect is linked to deforestation, according to the latest report from the Observatório do Clima (Climate Observatory), a coalition of 42 NGOs working on the issue. 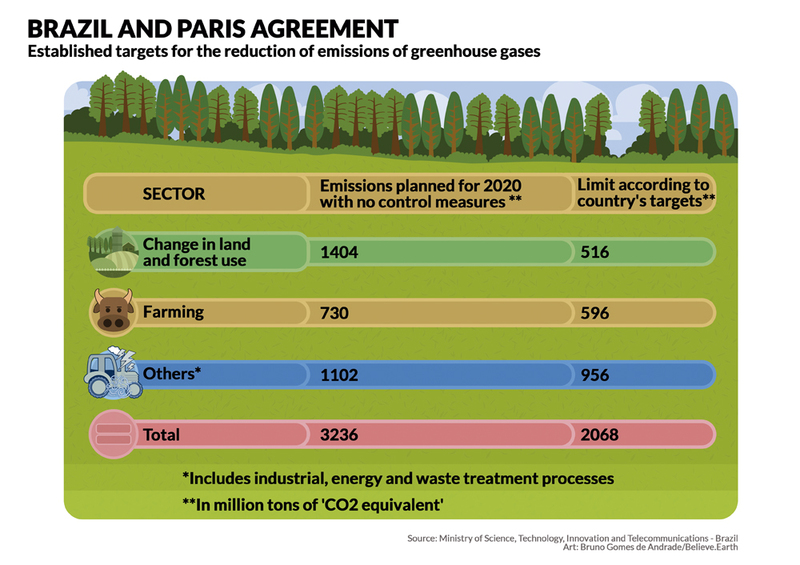 In 2015, the Brazilian government committed itself to the Paris Agreement, a treaty approved by 195 countries, agreeing to emit no more than 2.068 billion tons of ‘carbon dioxide equivalent’ by 2020. 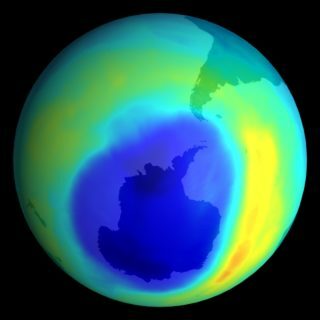 The term ‘CO2 equivalent’ is used by experts to designate gases that cause the greenhouse effect. The targets are divided into five segments: Agriculture, energy, industrial processes, waste treatment and land and forest-use change, including deforestation. Brazil agreed to reduce the Amazon region’s deforestation by 80 percent and that of the Cerrado by 40 percent, compared to the 1996-2005 period. As well, Brazil set a goal of reducing emissions of “CO2 equivalent” in the nation’s agricultural sector by 18 percent. But Brazil has not been doing its homework. The Greenhouse Gas Emissions Estimate System (SEEG), a report released in October 2016 by Observatório do Clima, showed that deforestation in the Amazon region had increased by 27 percent compared to the previous year, resulting in a 23 percent increase in emissions linked to land and forest-use change. 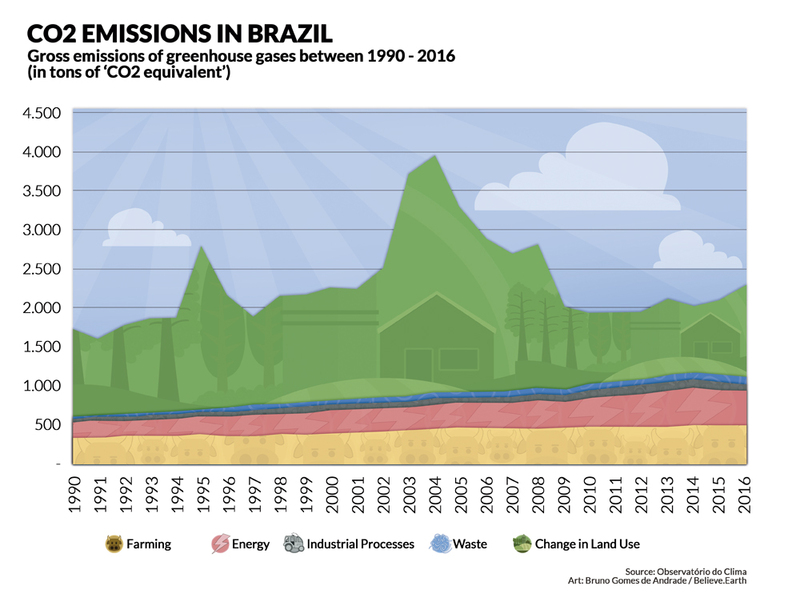 The report points out that agriculture and livestock are primarily responsible for the emission of greenhouse gases in Brazil, with the sector accounting for 73 percent of the country’s emissions in 2016. 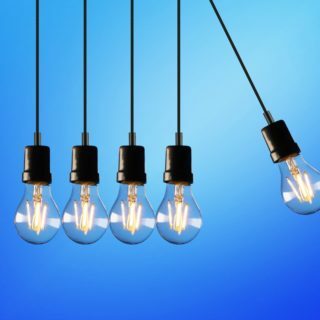 A promising initiative has been developed by the research center, Empresa Brasileira de Pesquisa Agropecuária (Brazilian Agricultural Research Corporation, or Embrapa). Their Carne Carbono Neutro (Zero Carbon Beef) project, launched in 2011, evaluated the six regions of Brazil: Atlantic Forest, Caatinga, Pantanal, Pampa, Amazon Rainforest and Cerrado. The project has involved more than 350 researchers, resulting in the most detailed survey of the country’s agricultural and livestock emissions and recommending a series of measures to reduce or neutralize the production of greenhouse gases. One of the easiest ways is to produce less CO2 per slaughtered animal, according to Embrapa’s studies. Improvements in both the turnover of grazing and in fertilization, allowing livestock to achieve their desired weights sooner and thus be slaughtered at younger ages, are necessary in the Cerrado and Atlantic Forest regions, according to Embrapa’s data. This approach would reduce the livestock’s lifetime emissions by one year per animal. 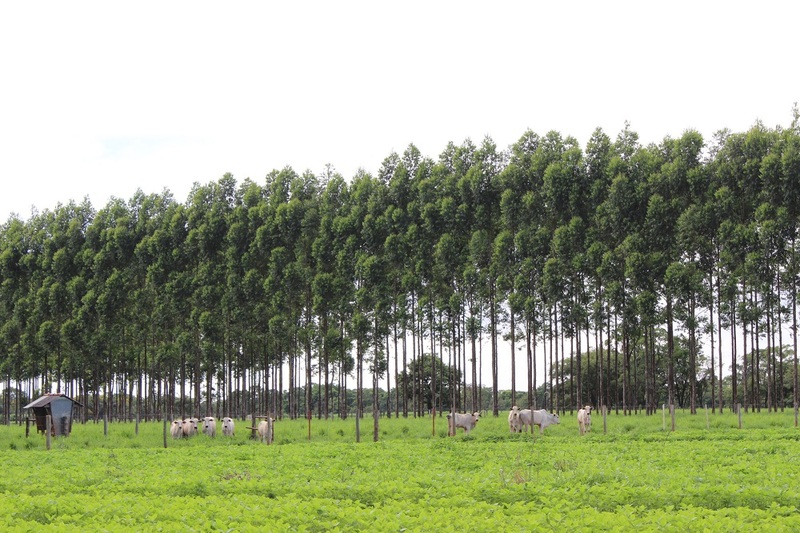 Another solution is to raise animals and plant trees, especially eucalyptus, on the same property, in the middle of the cattle’s grazing space, about 200 to 400 plants per hectare. Eucalyptus trees have a relatively short life cycle, from six to seven years, and great commercial potential, since they can be used in the manufacture of furniture, fences and cellulose. The integration, then, would provide extra income for the producer. The coexistence of animals and green is currently practiced on 351 million acres of land, according to estimates published in Drawdown: The Most Comprehensive Plan Ever Proposed to Reverse Global Warming book by environmentalist Paul Hawken. 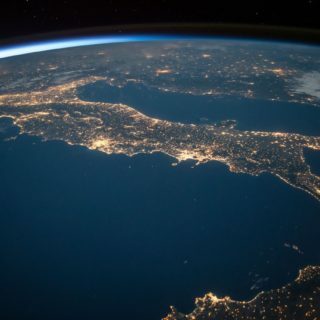 If the measure expands and reaches 554 million acres by 2050, carbon dioxide emissions can be reduced by 3.2 gigatons. Cultivating livestock and trees together is not a new idea. 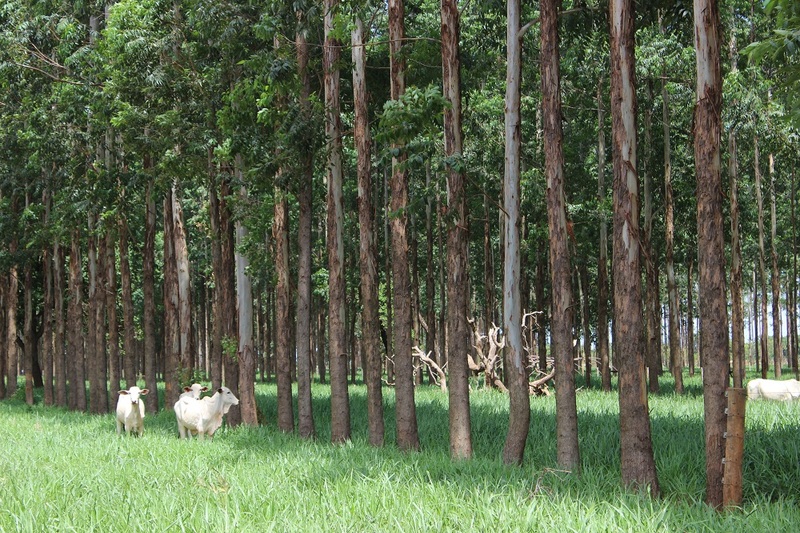 For more than 30 years some producers have already been reaping the benefits of this system — increased productivity and improved soil quality — under Embrapa’s supervision, using various names for the approach, including Integração Lavoura Pecuária (Integration of Livestock and Crops) (ILP), Integração Lavoura Floresta (Integration of Forests and Crops) (ILF) and Intergração Pecuária Floresta (Integration of Livestock and Forests) (IPF). There are various reasons to integrate livestock and trees, but in Carne Carbono Neutro, the focus is on lowering carbon emissions. To track Carne Carbono Neutro results, Embrapa conducts tests on nine commercial farming properties in the Cerrado, Atlantic Forest and Amazon regions that concentrate around 70 percent of all Brazilian livestock cultivation. The idea is to introduce certified meat from these places to domestic and foreign butcher shops and supermarkets in 2019. Embrapa has identified 1.8 million hectares of grazing lands (about 1 percent of the country’s total) that could qualify for Carbono Neutro certification. If the owners of these lands want to receive certification, they will need to comply with Embrapa’s suitability process. For those farmers who do not already practice integration, the road is longer: They will have to to finance the first round of tree planting and evaluate whether the area where the property is located has a market for the wood. The experiences prove that the joint cultivation of cattle and trees can benefit both the environment and the producers’ pockets. But there is still no conclusive assessment of how consumers respond if certification entails extra cost to the weekend barbecue. “Factors such as the price variations of the wood and beef arroba can interfere greatly in the process,” explains Embrapa’s Alexandre Berndt. “After all, how much are we willing to pay to eat a nice piece of meat with a quiet environmental conscience?” Integration is a only a partial approach to sustainable meat production, he says: more changes in the industry are needed. For those who want to go one step further and quit eating meat entirely, research on whether this practice reduces emissions is scarce. And even fewer studies consider the reality of each country. However, one of the best studies, by researchers at Oxford University, England (see table below), found that the global adoption of vegetarianism would reduce carbon emissions by 63 percent. Prioritizing fish consumption over other types of meat could reduce CO2 emissions by 29 percent. Adopting vegetarianism would cut emissions by 63 percent. Practicing veganism, where no product of animal origin is allowed, would reduce emissions by 70 percent.